I love history and yet, as a girl growing up in the 1970’s most of my history lessons seemed to filled with the ‘great men’ of history. And while it’s true women’s liberation was a hot topic during my childhood, second-wave feminists inspiring both women and men to think differently about a woman’s role in society, whether it be in politics, academia, in the media or private households, the history of the world, in general, appeared to be made up of men. And, as I grew into a young woman, despite a gradual shift in attitude and opportunities for women, it was still men, on the whole, who were the movers and the shakers of the world, the decision makers about women’s physical and cultural lives, with the emphasis still very much on domesticity. However, history is littered with women who have influenced and challenged the assumption that a woman’s place is in the home, and many of them were great writers of course, including Aphra Behn, George Elliot, the Bronte sisters, Jane Austin, Virginia Woolf, Doris Lessing and Angela Carter to name but a mere few. 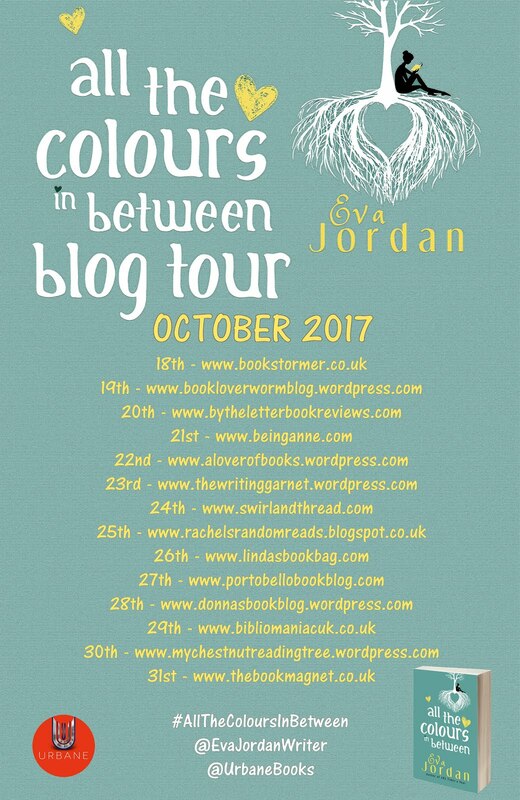 So, when, during research for my second novel, All The Colours In Between, I found myself in need of an inspirational, strong woman, someone who 21 year-old Cassie (one of the main protagonists) could look up to and draw strength from (you’ll need to read the book to find out why! ), did I plump for one of my literary heroines? The answer is no. Instead I found myself drawn to a certain ‘great woman’ of history, one of a very few introduced to me, fleetingly, during my childhood, namely Boadicea, or as she is recently referred to, Boudicca. On-going debate as to the correct pronunciation of her name still continues. I personally prefer Boadicea so from hereon in will refer to her as such. And no, just for the record, in case anyone is wondering, I haven’t switched genre to write about historical fiction for my second novel. Like my debut, my second novel is also a work of contemporary fiction, I just happened to come across, and was reminded of, Boadicea, in my search for inspirational women of history. Boadicea demonstrated strength of character and endurance at a time of great adversity, both for herself and her daughters, as well as the people of her kingdom. History teaches us that all did not end well for Boadicea but she did not take her humiliation lying down. And, more importantly, she reminds us that once upon a time, before the Roman invasion of Britain, women were part of a social structure that encouraged equal rights, which she fought bravely to try and hold on to and is why I find her so compelling. Not much is known of Boadicea’s early life and her birth date is not recorded but general consensus suggests she was born into a royal house as a member of the Iceni tribe, based in the area now known as Norfolk. Manda Scott’s modern novel’s based on Boadicea’s life suggest it likely she was brought up in a largely peaceful environment where both sexes would have taken similar rolls in the running of the lives of the Iceni tribe, including mastering the skills necessary to defend themselves. This way of life was then threatened after the Roman invasion of Britain around 43CE. Boadicea, married to Prasutagus, King of the Iceni, found ownership of their land and wealth threatened. A deal was struck and Prastuagus was allowed to remain in control of his land and money, but only with the status of ‘Client King.’ However, Prasutagus drew up a will leaving half of everything to his wife Boadicea, and their daughters, and the other half to the Roman Emperor. This did not sit well with the Romans because women in Roman society had no rights of ownership or inheritance. After the death of Prastuagus in 60CE the Romans refused to honour his will and Boadicea’s attempts to claim her rights were viciously denied. She was whipped, her estates confiscated, and her two daughters raped. The Romans may have left us with a rich legacy of innovation and invention including straight roads, sewers and sanitation, hot baths and bound books, but they also destroyed a social structure that had been so important to the women of the tribes of Britain, namely equality. During Victorian times a memorial of Boadicea was commissioned and still stands today. Somewhat overshadowed by the London Eye on the opposite bank of the Thames, she can be found on the north-east corner of Westminster Bridge. Next time you are visiting London why not take a look at the statue of the ‘Warrior Queen.’ Driving her carriage, arms aloft, defiantly holding a spear, her daughters standing behind her, she certainly looks formidable. A reminder that there was a time in bygone history when men and women in Britain had equal rights to property, power and inheritance which leaves me wondering what recent historical relations between British men and women would have been like had we inherited the sexual politics of the Celtic tribes rather than those preferred by the Romans. It's not a life, it's an adventure! Lizzie is fast approaching 50. Her once angst ridden teenage daughters, now grown and in their twenties, have flown the nest, Cassie to London and Maisy to Australia. And, although Connor, Lizzie's sulky, surly teenage son, is now on his own tormented passage to adulthood, his quest to get there, for the most part, is a far quieter journey than that of his sisters. The hard years, Lizzie believes, are behind her. Only, things are never quite as black and white as they seem... A visit to her daughter in London leaves Lizzie troubled. And that is just the start. Add to that an unexpected visitor, a disturbing phone call, a son acting suspiciously, a run in with her ex husband plus a new man in her life who quite simply takes her breath away; Lizzie quickly realises life is something that happens while plans are being made. Gritty but tender, thought provoking but light-hearted, dark but brilliantly funny, this is a story of contemporary family life in all its 21st century glory. A story of mothers and sons, of fathers and daughters, of brothers and sisters, and friends. A tale of love and loss, of friendships and betrayals, and coming of age. Nobody said it would be easy and as Lizzie knows only too well, life is never straightforward when you see all the colours in between. Eva Jordan, born in Kent but living most of her life in a small Cambridgeshire town, describes herself as a lover of words, books, travel and chocolate. She is also partial to the odd glass or two of wine. 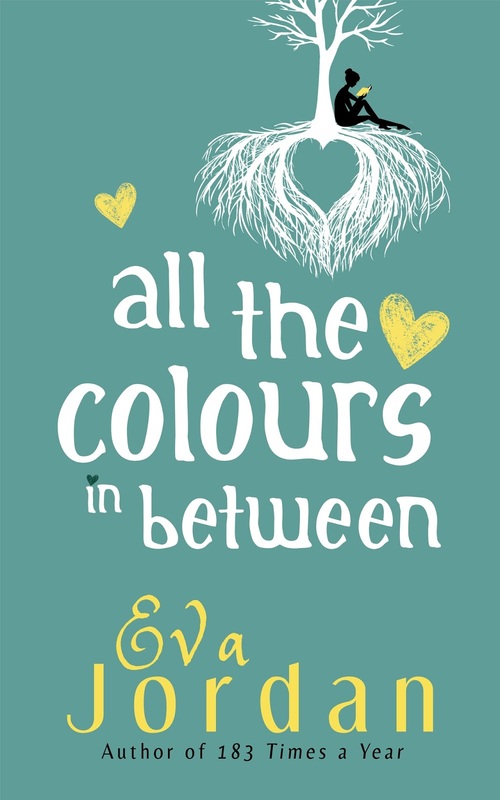 Providing her with some of the inspiration for her novels, Eva is both a mum and step mum to four grown-up children. Her career has been varied including working within the library service and at a women's refuge. She writes a monthly column for a local magazine and currently works as a volunteer for a charity based organisation that teaches adults to read. However, storytelling through the art of writing is her passion. 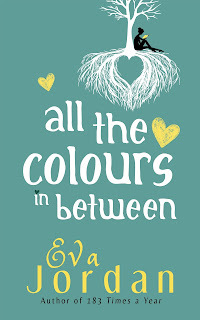 All The Colours In Between is Eva's second novel. If you want to know more you can find Eva at all the usual places. 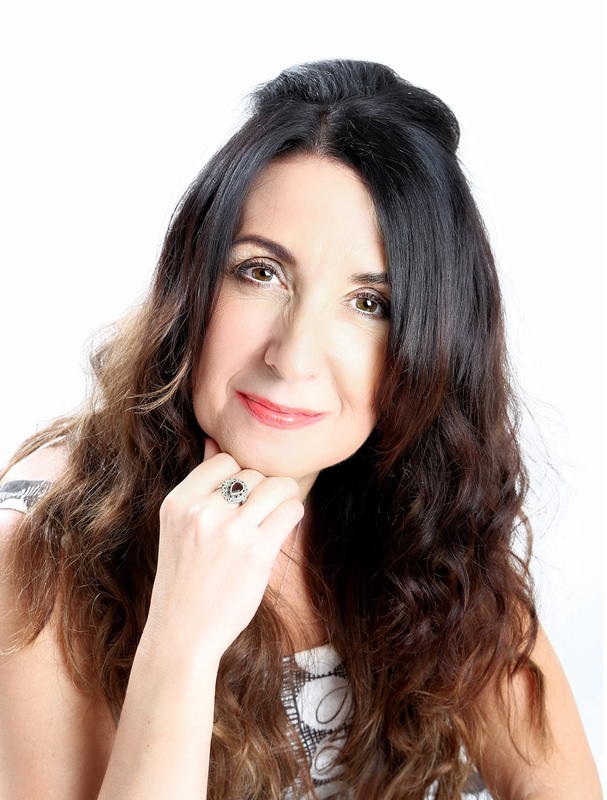 She loves to hear from readers and reviewers so please feel free to contact her.